The calendar may say that it is spring now, but the weather not so much. Last weekend it was near 80 degrees and this weekend it will be rainy, cold and raw. We are use to the roller coaster weather in the south. You just never know from one day to the next. Even with it cold outside I am adding and subtracting things around the house to lighten and brighten up for the warmer seasons. This is my favorite time of year and the spring fever bug has certainly hit. I changed the vignette on the drop leaf table with some things found in nature. You can see the back end of Miss Bailey in her favorite spot. I brought my cloches back out that were stored away and added a saved nest to one and a sea fan to the other. This is a big nest I found in our crepe myrtle last year and saved it in a zip loc bag. I placed moss under and around the nest on top of this metal stand. Then I just laid this faux vine loosely over the cloche. Yes, it is faux, but looks so real. I need to go back to the shop I bought this from and get more of them. I love using sea fans for added texture and I have found all of mine at Scott's in Atlanta. I have been wanting a bee skep and I found this vintage one at the Queen of Hearts antique mall a few weeks ago. I decided to place the fiddle leaf fig tree in the vintage enamelware bucket and am using the olive bucket to hold magazines under the table. You can see the olive bucket filled with my favorite mags. Pretty table vignette! Love all of the natural elements you've gathered and put together so beautifully! Beautiful Kim! Love all the natural elements. I have a small bee skep on my mantel, I would love to find a larger one. What a great idea to freshen up a table. Looks great! Wish you were my neighbor - you give me inspiration. So pretty Kim, we still have snow here:( I want to do some spring decorating too, but nothing yet! Thanks for the inspiration. I need to bring some spring inside and lighten up a bit too. Your cloche vignette looks lovely, Kim. I love that big nest. It looks great with the moss and the grapevine. This is such a wonderful table. love the tablescape, especially the cloche with the vine wrapped around it! I know, back down in the 30s here this weekend, and last week it was 88! Love the idea of storing mags in the olive bucket, mine is just sitting empty. Stay cozy! Kim, your house could be a coffee table book all on it's own! ... you are so gifted in making a house a HOME. Everything looks so pretty Kim. I love the beehive basket! Weather in the South... yesterday was rainy and tank top and shorts weather non the less. Today bright sunny and chilly... definitely jeans and ling sleeved Henley weather. 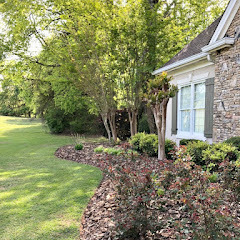 Thanks for sharing those photos of your spring updates, Kim! They are so pretty and inspire me to get busy and change out any St.Patrick's Day and winter related decor items I still have out. Gorgeous! I love that sea fan! I love this vignette. After my rabbits and eggs go away, I replace them with nests, cloches, and birds. I hope you visit Uptown Acorn to see the Easter finery. Oh you look so ready Kim! I am too, our outside is so dingy and gross looking. I love that little corner of the sunroom! I really like the cloches you added with natural elements under them and the bee skep. That's a great combination. Did you know I sold an extra large bee skep I had years ago at The Perfect Piece? I bought it in either St. Augustine or Savannah and then tired of it indoors. I couldn't use it outdoors because of the squirrels. Wish I kept it now! Gorgeous vignette on your table top using your cloches filled with natural elements!!! Love the bee skep...they are difficult to find on the Prairie!!! Great changes...I love how you wrapped the vine around the cloche...great textures...I just bought some "fake" nests...your real one is great...will have to save mine this year...I know the birds will be nesting in my ferns once I put them on the porch!...Glad to see Bailey chllin' in her favorite spot! I really like your table vignette and the fiddle leaf fig looks like it likes it there. Great cloches with the sea fan and nest. Thanks for hosting a great party. Very inspiring, Kim. My favorite is the nest with the moss and the vine, under the cloche. Love the enamelware bucket, too, and the way you used it for your fiddle leaf fig tree. It all makes for a lovely vignette. the vignette is really "spring like"...maybe the weather will cooperate soon. 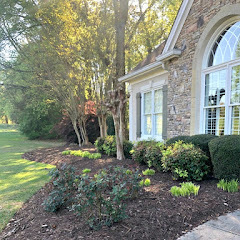 I love your new vignette-very outdoors brought in! I don't know what a bee skep is but I also love that piece. Have a good coming weekend. Absolutely gorgeous vignette, Kim. The natural light coming through makes it all the better. Oh Kim I wish we had 80 degrees here.Right now it is 28 :-/. LOVE your cloche with the bird nest!Your sun room is a favorite of mine! Love your vignette with all your natural treasures. I just found a bee skep the other day and wasn't quite sure what I was going to do with it. 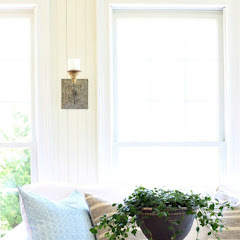 Oh I always love to see pics of your sunroom! so lovely. Love that bee skep and I would love to have a sea fan someday. I love how people use them in decor but i've never had one of my own. Kim your table is so pretty and filled with such natural treasures! Your nest vignette is so beautifully done. When I first saw the picture I marveled at the "real" vine and how you got it to twine around the cloche so well. You gave away your secret!!!! I love spring too and we also are having the most horrid raw weather. I'm hoping Spring is here to stay next week!!! Very subtle but lovely changes that reflect the change of season. I just bought a cloche this week. This gives me inspiration to "style" it. Your photographs are alway beautiful. Lovely vignette, Kim. It's cool here again, but the high temps will be back all too soon. Sitting by a cozy fire tonight! Love the bee skep. I'd love to find a vintage one in good condition. You scored on this one! Always love your sunroom. Every change, always. Love the bee skep! I'd love to find one myself! the cloche looks beautiful, that grape vine looks so real, I have never heard of a sea fan, they are beautiful. I love the vintage bee skep...a great find. I don't have a sea fan, but it seems to me I should have at least one with all the shells and things around my house...don't you agree? Your vignette looks beautiful. Beautifully composed! I love the way you've used your cloches. Very pretty vignette, Kim. Love the sea fan in the cloche. I have one that my stepdaughter found on the beach and having been saving it until inspiration struck. Now I know what to do with it! Have a great weekend. I'm tired of all this roller coaster weather! I love everything you did here! That vine looks lovely with the cloche, and the sea fan is so pretty. I'll be in Atlanta soon so I'm heading to your shop to see if I can find two -- one for me, one for my mom who loves them too! What shop did the faux vine come from? Your sunroom is just lovely, I love that bee skep. Very neat. It is still cold and snow is on the ground here, I wish we could at least near 50. I am a sucker for cloches, I just adore them, all shapes and sizes! I LOVE what you've done with yours, and all the nature elements are the perfect companion to your new beekeep...So fabulous, I've never seen one before. Perfect for your sunroom! 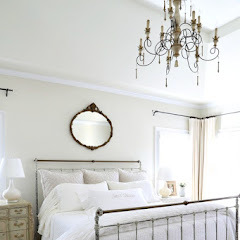 Gorgeous styling, and all those textures are perfection! 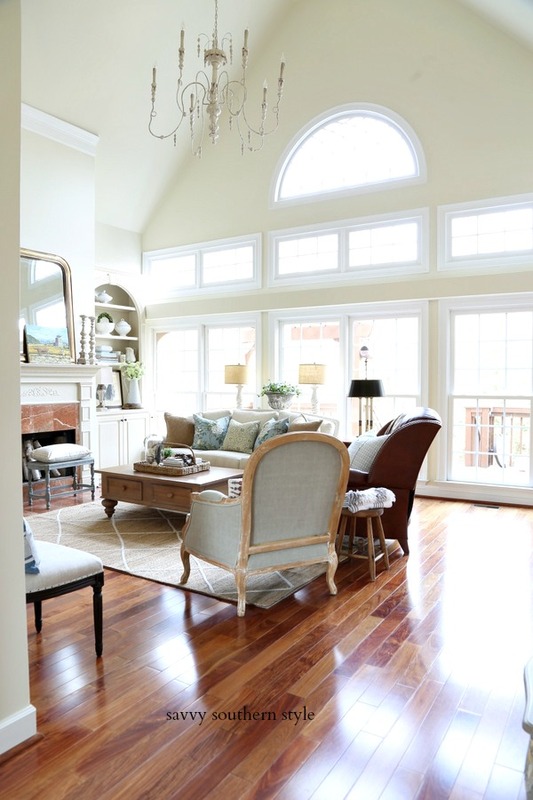 Your sunroom is always lovely! The natural elements are soothing and inviting. Perfect place for the fig leaf....it so loves light! 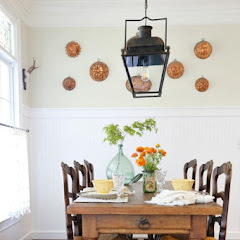 I love that drop leaf table! On the look out for one too! Love the spring touches! Beautiful a always. Your vignettes are perfection, Kim! I love the bee skep and the sea fan under the cloche, beautiful!